This episode breaks down neurofluency – the basics of neuroscience as it relates to being human in a relational world. This skill will help you with your boss, your teacher, your student, your child, you client or your spouse. 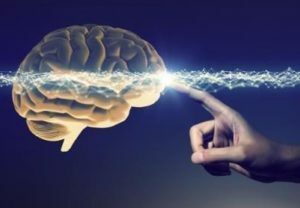 Renowned author and therapist Lou Cozolino returns to Therapist Uncensored with co-host Sue Marriott for a breakdown of a concept he calls neurofluency. They describe what the key ingredients are for growth and why integration of different treatment forms can be crucial to healing. This one is for true neuronerds, therapists and advanced “normals” – technical but also truly applied theory! Cortical integration – The importance of having a safe relationship and a capacity to regulate . You need to feel safe in order to have affect regulation, which you need to not have your cortical systems inhibited, and then you can add new information. Or when safe you can learn, when threatened you shut down any new updates to your old model, new learning, adaptation. Cozolino offers his thoughts on EMDR treatment and the orienting response. This is different and interesting – check it out! We have three executive systems, not just cortical, like previously imagined. Now it’s recognized that we have the amygdal response system (most primitive, fight-or-flight), frontal parietal networks in the brain (organizes our experiences of space-time and how to navigate), and the default mode network (self awareness, empathy). Historical background on Freud, who may have inhibited his own interest in the brain (despite being a neuroscientist) until a publication came out after his death. The psychology of distrusting leaders. In relation to face to face therapy, touch therapy, somatic therapy, Cozolino believes that the main key is safety, in whatever capacity it comes. Learning how to think through the basic principles of plasticity to achieve change is the goal, and there’s no one right way to do that. Emotion has to be part of new learning. There are no set answers and don’t believe anyone who is telling you they have them. Don’t trust narcissistic leaders that insist on following their brand, or say their view is the right and only way to do treatment. That is not science, it is not integrated in history and the balance of science and practice, and we should be skeptical especially of those profiting from alleged “new ideas” in therapy. We should also be wary of those that follow such gurus. The brain is a social organism so you have to have a broad view or conceptualization. Dr. Cozolino has diverse clinical and research interests and hold degrees in philosophy, theology, and clinical psychology. His current interests are in the areas of the synthesis of neuroscience with psychotherapy, education, management, and leadership. In addition to multiple books, he is also the author of research articles and book chapters on child abuse, schizophrenia, language and cognition. Dr. Cozolino lectures around the world on brain development, evolution, and psychotherapy and maintains clinical and consulting practices in Los Angeles and New York. Enjoying the podcast? Then you’ll definitely enjoy this episode, which is the immediately previously published one as well! It’s a slightly different episode where we ditching the heavy theoretical neuroscience to break down 6 quick tips to improve self-confidence entirely on your own! It’s science-based but we focus on making it super actionable! 6 Steps to Increase Your Felt Sense of Security. Like what we are doing for you and the world? Have you shared an episode w/ clients or family… then please consider the following to help us keep up to date and bringing you the cutting edge…. Many of you have expressed a desire to get more in-depth content and we believe we have a found the answer! Become a supporter of our show, ie. 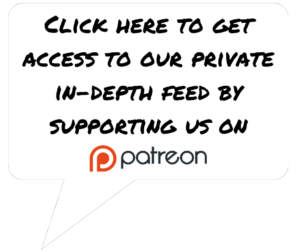 a patreon member and, depending on level, you can have access to a private feed with deeper content and more access to us, as well as support our ability to continue to provide fresh content to many across the globe that may not otherwise have such free access. Go to Patreon.com/therapistuncensored and sign up today. We would be so incredibly grateful for the support, and we think you will be pleased to get more of this awesome applied neuronerd info in life! The easiest way to dive in is to like our Facebook – it’s an active page and there is even a private FB community where you can discuss directly with other listeners. Also, we do a bit on Twitter if that’s how you roll! And you can find a couple forays into videos on YouTube if ya can believe that? Finally, join our email list through the front page of our website (this gets you access to our private FB group if you want to sign up for that group). You can even listen with your partner or family via Alexa or Google smart speakers… how cool is that? Want to help but not necessarily join Patreon? Simply rate and review us on your podcast player or recommend us on our FB page, it helps get the word out about this free, labor of love resource which will help us attract the very best and brightest guests to keep us fresh!! Tks and see you soon!